Cocoon yourself in the luxury of your Privacy Suite. Designed for the new Extended Wheelbase Phantom, it offers the highest possible levels of acoustic sound absorption, ensuring that your conversations in the rear cabin won't transmit to the front cabin. 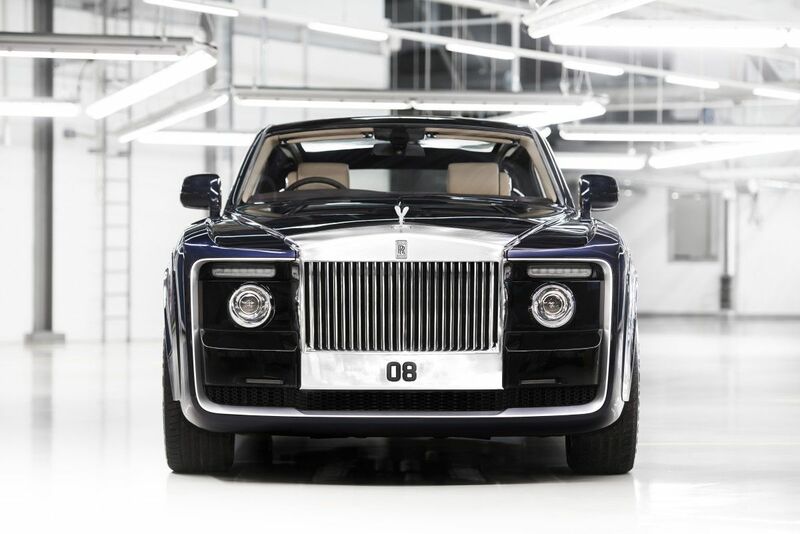 In 2017, the Rolls-Royce Sweptail was the realisation of a patron’s dream to have a coachbuilt two-seater coupe with the rear taper of the motor car resembling a racing yacht. This one-off creation was a true representation of the marque’s pinnacle position in bespoke vehicles. If you cannot choose from the 44,000 available colours, Rolls-Royce's bespoke paint specialists can create one exclusively for you and even name it after you such as Fux Fuxia for Michael Fux (pictured above). From matching the colour of your jade necklace to mixing pure gold with paint or black paint with crushed diamonds, there is no limit to what you can do. Rolls-Royce's Starlight Headliner is a stellar bespoke feature—quite literally. The leather on the car ceiling is perforated with 800 to 1,600 holes, and set with fibre optic lights. Create your signature headliner with your own star sign, favourite constellations or even a coat of arms to add magic to your evening drives. Exclusive and unique to the Phantom model, the Gallery is the perfect bespoke feature for art lovers, as you can commission an exquisite piece of art to be placed across the car's fascia. One example is the Immortal Beauty by Porzellan Manufaktur Nymphenburg (pictured above). Taking inspiration from the award-winning Harkness Roses, a masterpiece of porcelain was freely and intricately shaped by hand to depict the flower's various life stages.